Combine water, onion, pork, patis and DEL MONTE Original Style Tomato Sauce. Cover and Simmer for 30 minutes or until pork is tender. 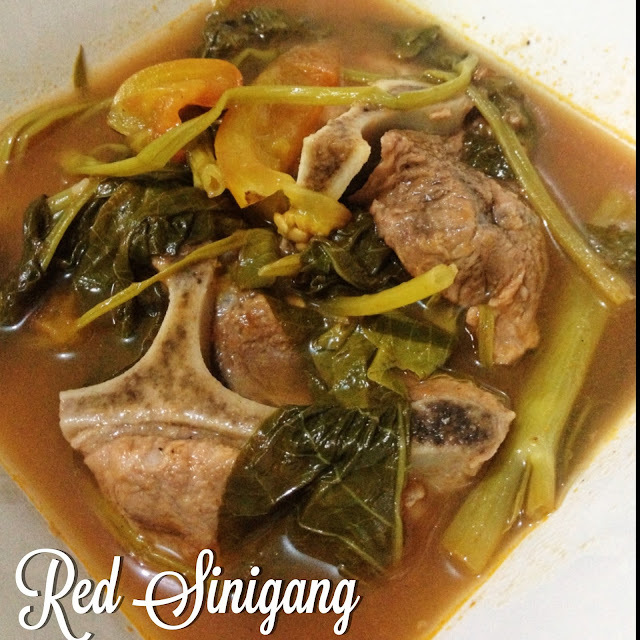 Add the tomatoes, kangkong and sinigang mix powder. Allow to Simmer. The recipe was taken from Del Monte Kitchenomic's website, which is a very helpful website since most of the ingredients used are readily found in our local supermarket at an affordable price.